Posted December 15th, 2015 by Rhys & filed under opinion. To celebrate the launch of the UK’s first official astronaut Tim Peake to the International Space Station, I’ve got four excellent young adult novels that will blast you off into new worlds! 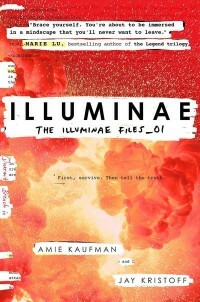 Illuminae is the story of refugees being pursued from an illegal mining colony in deep space. After their homes and livelihoods were destroyed, all they could do was escape from the dying planet and run for their lives. But with three limping ships and an insane artificial intelligence controlling them all, it’s a lot harder then you’d imagine…Illuminae isn’t just a great story, it’s also told in new and exciting ways. It’s the found-footage equivelant of the book world, and includes images, transcripts, files and anything else you can imagine. 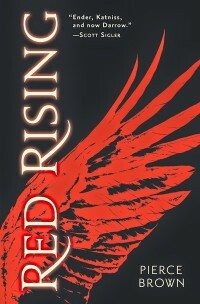 One of the best sci-fis to come out of recent years, Pierce Brown’s Red Rising is cut-throat, ruthless and bloody. And, at the centre of it all, is a class struggle between the Reds, who work in squalid conditions upon Mars; and the Golds, who rule from their lofty empires. This is a Hunger Games style revolution but in space – and it’s all about tactics, deception and one-upmanship. 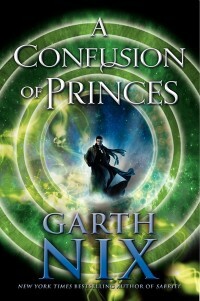 This Garth Nix novel never really made many waves when it was released a few years ago, but its survival-of-the-fittest tale of 1,000,000 space princes all competing to be Emperor is brilliantly exciting and somewhere in between Red Rising and Ender’s Game. Fed up of rockets and spaceships and shuttles? 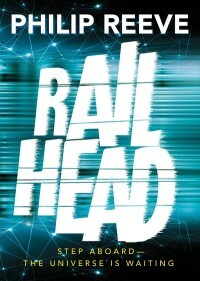 Give space trains ago with Reeve’s first new sci-fi novel since the Mortal Engines and Fever Crumb series! I called it “Thomas the Tank Engine on steroids”, but the trains in Railhead are wonderful, beautiful and intelligent things that will shuttle you from planet to planet. It’s fun, exciting and fantastical: Reeve is inventive and incorporates all sorts of modern technology – drones, the internet – in his story about Zen Starling’s mission to steal a precious object from the most important spacetrain of all: that of the Network Emperor. Have I missed any? Add your suggestions in the comments!